Short Business Description: Our Houston pediatric dentists provide your family a variety of services. We provide basic dental cleanings and exams as well as teeth extractions. Our pediatric dentists also strive to teach the parents the best way to keep up the dental care for their children. Every parent wants the very best for their child, especially when it involves their health. Are you looking for a pediatric dentist in Houston, TX, 77098? 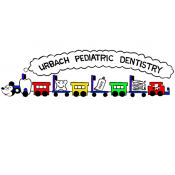 Urbach Pediatric Dentistry ensures the care and safety of your child. We want your child to have fun taking care of their teeth! We offer sedation dentistry for your child’s comfort and enjoy educating your children on basic care of their teeth. Short Business Description: Simms Electrical Services provides residential, commercial, and industrial electrical services to Houston, TX. Simms Electrical Services provides residential, commercial, and industrial electrical services to Houston, TX and all the surrounding areas. 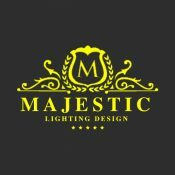 We are a full service electrical company in Houston that focuses on electrical service, new construction, and electrical maintenance. We have a team of quality electricians and support staff to manage and complete your project efficiently and on schedule. Our service area includes Houston, Pasadena, La Porte, Deer Park, Channelview, Humble, Kingwood, Mont Belvieu, Baytown, Crosby, Dayton, Huffman, and surrounding areas.Contact Simms Electrical Services today at 281-328-7001, or browse our website for more information about our electrical services. Customers include the U.S. Army, Air Force and Coast Guard, Lockheed Martin, Boeing, L-3, Sikorsky, BAE, and Bell. Platforms supported include: F-16, AH-1, B-1B, B-52, C-130, C-5, EC-130, F-15, F-2, F-22, F-35, H-92, MH-60, S-92, UH-1, UH-60, and V-22. 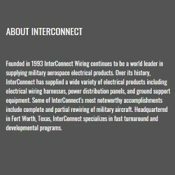 Founded in 1993 InterConnect Wiring continues to be a world leader in supplying military aerospace electrical products. Over its history, InterConnect has supplied a wide variety of electrical products including electrical wiring harnesses, power distribution panels, and ground support equipment. Some of InterConnect’s most noteworthy accomplishments include complete and partial rewiring of military aircraft. Headquartered in Fort Worth, Texas, InterConnect specializes in fast turnaround and developmental programs. 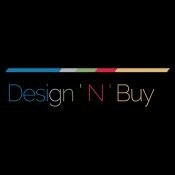 Short Business Description: We Offer Homes For Sale With Owner Financing, Buy House Owner Financing, Owner To Owner Homes. Owner Financed Homes Available in 28 states. We Offer Homes For Sale With Owner Financing, Buy House Owner Financing, Owner To Owner Homes. Owner Financed Homes Available in 28 states. 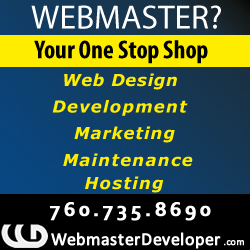 Our goal is a customer satisfaction and to exceed your expectations. The process is efficient and easy, and we move as fast as you do. Because of all many issues people resort to renting. But as you may already know, renting is the same as throwing money out of window. Rents are going higher every year. The other option is rent-to-own/lease purchase. We advise our customers to avoid this option at any cost because you do not get a Deed to the property. No Deed means you are not the owner and you can lose your home, even though you pay as agreed and on time. Simply because the owner can go through bankruptcy, divorce, lawsuit, IRS tax liens. They can even die, change their mind or don’t cooperate. Southern Truckload & Logistics is a temperature controlled Common Carrier located in Waxahachie, TX. We operate late model equipment in a safe and efficient manner in order to provide on-time service to our customers. Our employees are committed to customer satisfaction and superior service. This commitment has enabled us to grow to our present size and offer the most up-to-date technology. Our operation primarily utilizes solos, but we have the ability to customize our operation to meet our customer’s needs. All of our employees are trained and motivated to provide top-notch customer service and a safe operation to excel our productivity. We’ve got the best team in the business and there are plenty of other reasons why you’ll want to choose us for your refrigerated shipping needs. Take a moment to learn more about Southern Truckload and Logistics! Business Address: 300 Howard Rd.